Dogs are very sociable animals. It’s partly ingrained in them as a descendant of the wolf – an animal whose life is built around its pack. But researchers also believe that we may have (unintentionally) bred a hypersocial personality trait into domesticated dogs over the centuries.1 Either way, it’s a win-win for dog owners. But, just like humans, dogs also need their space – some more than others. And, it’s important that we recognize this fact, for the safety of both dogs and humans. Some of you may have been taught at a young age to never pet a dog unless the owner has given their express permission, but many other people were not. And even your best intentions can go out the window when you come into contact with a beautiful dog. But knowing how to correctly approach a dog is especially essential when an extra-sensitive pooch is involved. The Yellow Dog Project is a not-for-profit organization that seeks to help both owners and the public to understand that sometimes, dogs need their space.  It aims to educate owners to be able to identify if their dog needs more space, and then, to work out what the best amount of contact for that dog is. The Project also wants to help people better understand the “rules” when approaching a dog. They’re doing so through the use of a yellow ribbon. 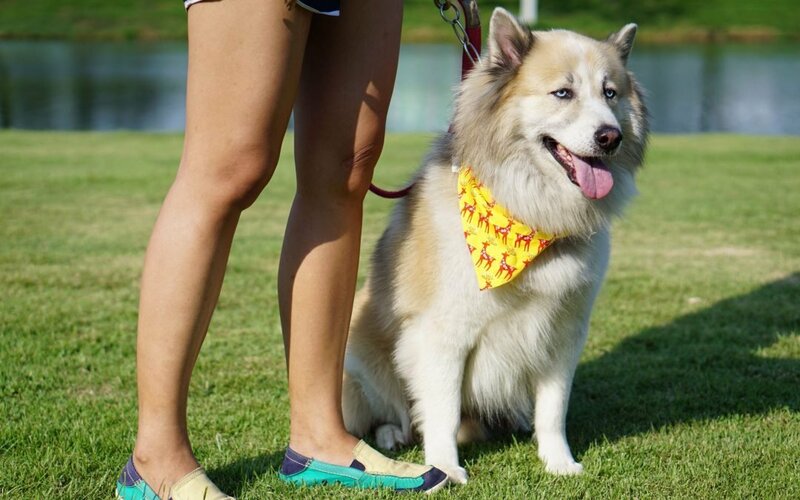 If a dog fits the bill of a “yellow dog,” then owners are advised to have their pup wear a yellow ribbon, to indicate that it needs a little more space than other dogs. But who specifically are these space-needing “yellow dogs”? 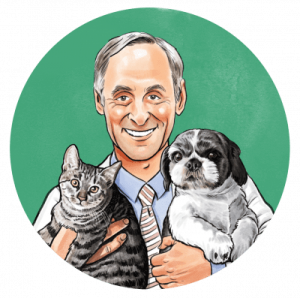 Are they overly aggressive, dangerous dogs? Not necessarily. In fact, you may be surprised at what situations can push dogs into needing some extra space. When a dog needs extra space, it means that it may not wish to be touched or played with – either by family members, strangers, or other dogs. For some dogs, this is a temporary thing, while for others, it may be ongoing. And so, a yellow ribbon on dog leashes can be an indicator to others to keep a wide berth and allow that dog the extra space needed. 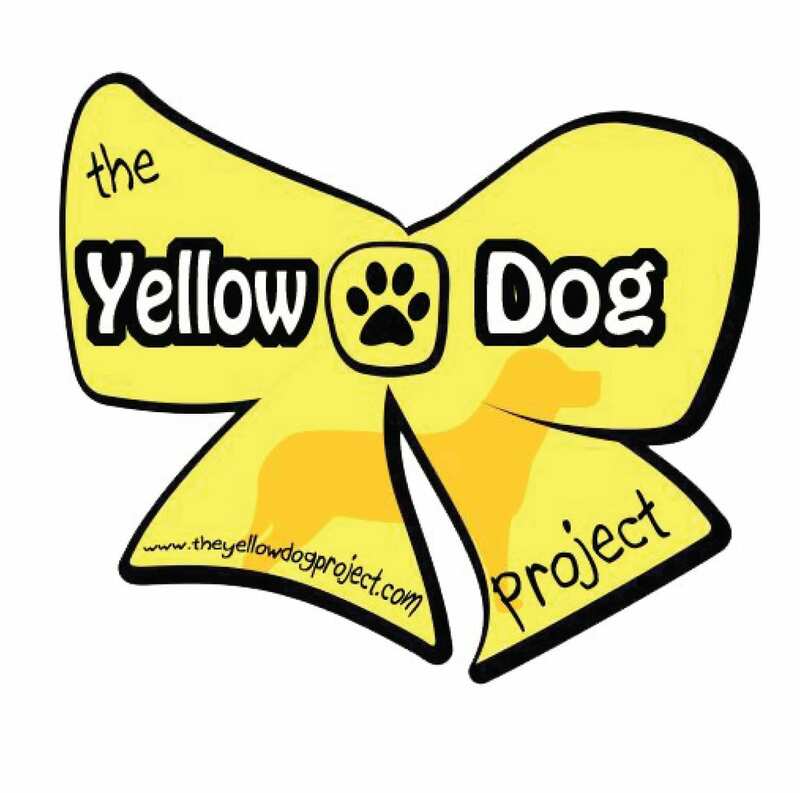 The Yellow Dog Project is very clear about pet responsibility, whether you decide to fashion a yellow ribbon on your dog or not. For example, placing a yellow ribbon on your dog should never be an excuse to not train or rehabilitate your pooch. It is very much not a “Beware of the Dog” sign. In fact, The Project actively encourages people to find positive reinforcement trainers and programs to work with their space-requiring dogs. It’s also an owner’s responsibility to never put a sensitive dog in a high-stress situation or environment – even if they’re wearing a yellow ribbon. It’s also up to the owner to recognize that not everyone will know what the yellow ribbon means. Yellow ribbons are often used as a symbol of hope in society, and they should likewise be viewed as a positive color for dogs. Owners should never be embarrassed if their pooch is wearing a yellow ribbon. 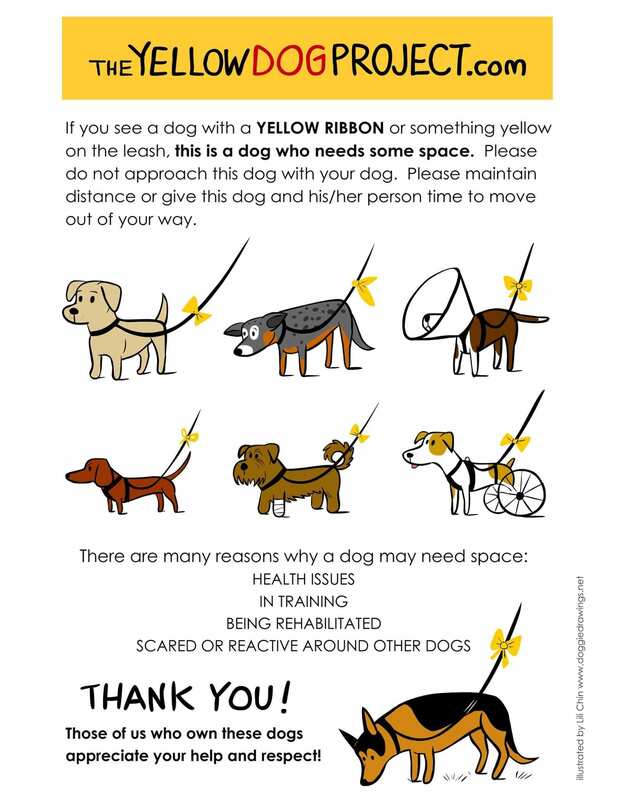 The tying of a yellow ribbon on dog leashes is actually about protecting your dog, just as you would a special needs child who had certain social requirements. And, it’s not just information for touchy, feely humans. Some dogs are fine around humans but get excessively nervous around other dogs. This can also help other dog owners to understand your dog better. If you’re actively working with a professional to help your dog, you should be proud that you are a responsible and loving dog parent. 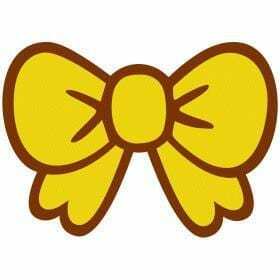 And wear that yellow ribbon with pride! Images courtesy of The Yellow Dog Project.